If you are in Beijing China then you will find the Thai Embassy in Beijing listed below. 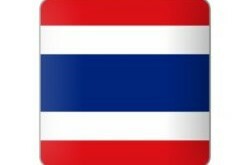 There are also a number of Thai Consulates in China and we have listed all of them here. 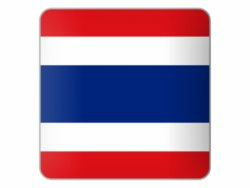 Note that there is a visa section for the application of a Thai visa which is also listed below. We have added maps and a map to the Embassy as well as their email, telephone number and their fax numbers to the listing. There are a number of options when visiting Thailand. If you do not have a visa you will been to show 20,000THB at the airport in Bangkok Thailand with a confirmed round trip airline ticket for 15 days later. You can hover apply for a Thai visa in China at the Embassy as listed below or contact any of the Thai Consulates in China. If you are married to a Thai national then you have the option of a 3 month marriage visa or you may visit Thailand on a 2 month tourist visa which can be extended in Thailand at Thai Immigration for a service fee of 1,900THB for another 30 days. 40 Guang Hua Road, Chaoyang District, Beijing 100600 P.R.C. 15th Fl. West, LG Twin Towers, Jianguomenwai Road, Chaoyang District, Beijing 100600 P.R.C.